Item #46960 : Original era manufacture. 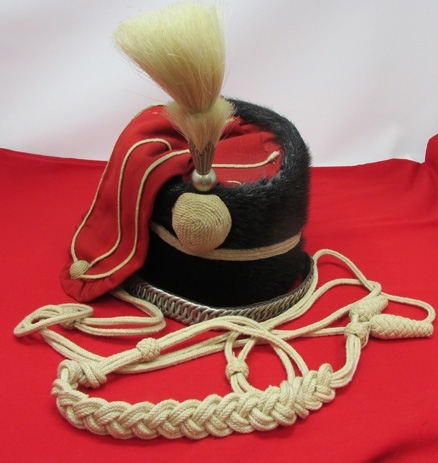 A sound example as worn between the years 1876-1914. 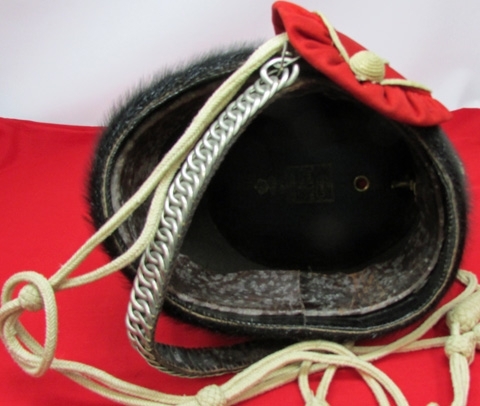 Sealskin body with a red wool cloth bag, and white wool cloth cording and lace. 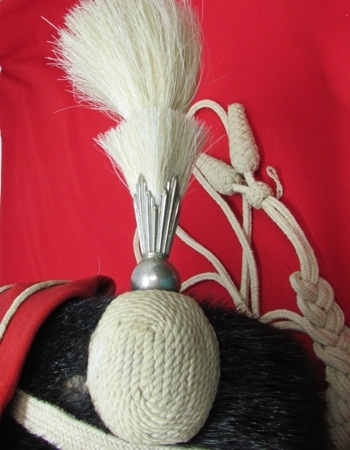 Complete with its white horsehair plume. 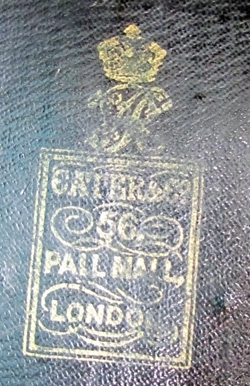 Wide leather sweatband with a suppliers name of Cater & Co. 56 Pall Mall, London on the inside. Leather backed, nickel linked chinstrap in good repair. 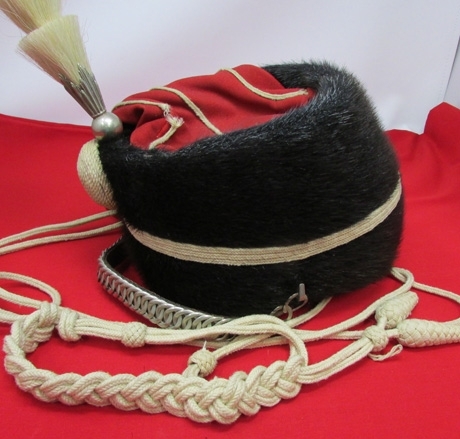 The white wool body cords appear complete and are in sound condition. 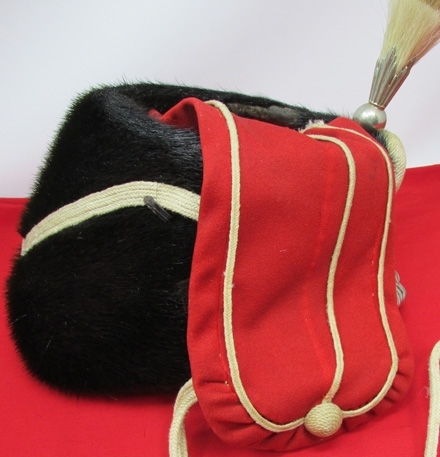 There are a few spots of wear to the sealskin covering but nothing dreadful, the lacing on the red wool bag is loose on one side, with a small break on the opposite side Overall the busby is quite sound for its age and makes a wonderful display piece.